The newest addition to the collection of Nomos Glashütte, the Autobahn neomatik 41 date, was off to a flying start when introduced last spring. With its eclectic design, the watch not only generated a buzz, it was also nominated for the Red Dot Award – and won it in the end. 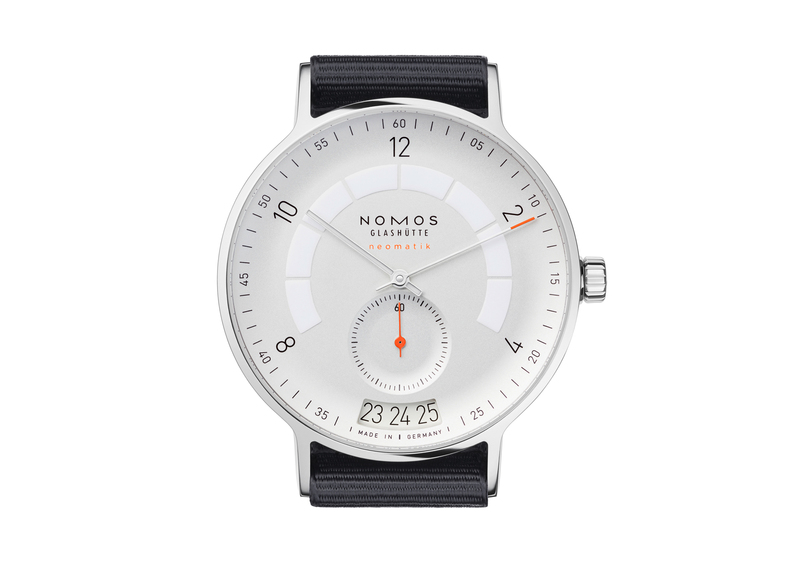 It is the first big prize for this sporty automatic model – but not for Nomos Glashütte. Ten other models of the manufacturer are already honored with this esteemed prize which stands for innovative products with outstanding form, function, aesthetics and quality. So let’s look at this new watch, which has – both aesthetically and technically – plenty to offer. The curves of the dial and the sub-seconds entice the eye to explore this timepiece’s unfamiliar depths. The elongated date window at six o’clock is particularly easy to read, displaying three days at a glance. In addition, it is elegantly curved, integrating itself beautifully into the dial. The luminous ring of Super-LumiNova makes the Autobahn neomatik 41 date easily readable even at night. We also love the orange accents on the dial: the neomatik logo, the tip of the hour hand as well as the hand of the small seconds at 6 o’clock. The subdial of the latter is lowered very beautifully and ingeniously, creating more gentle curves and depth. Within the slender yet robust stainless steel case, which boasts a diameter of 41 mm and a 10 atm water-resistance, ticks the second highly complex and highly precise neomatic caliber from Nomos Glashütte, this time with a date function: DUW 6101. Just like the first neomatik caliber, this one is ultra-slim – even with its self-winding mechanism and date function. 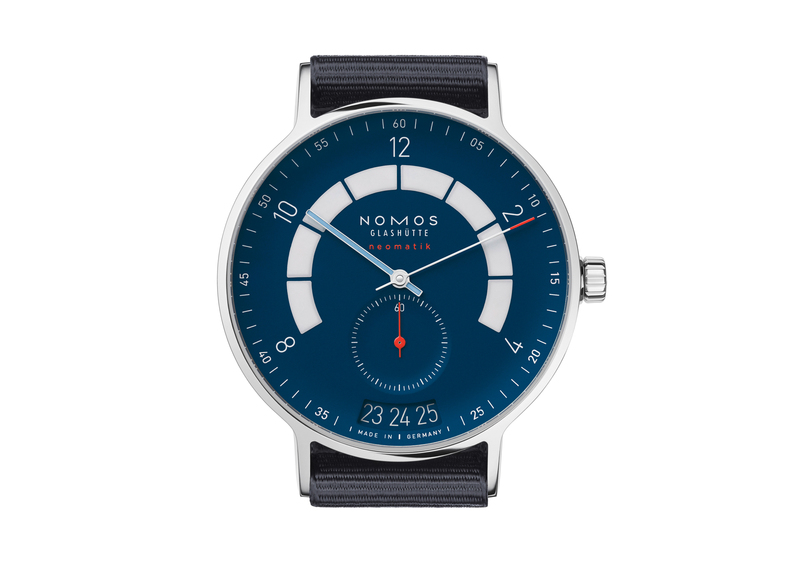 Along with the white silver-plated version, Autobahn neomatik 41 date also comes with dials in midnight blue and sports gray. The Nomos Glashütte Autobahn neomatik 41 date is for everyone who loves clean lines, swift curves and perfectly executed surfaces. We are already convinced. Still Searching for a Summer-Watch? Look No Further! Eternal summer for the wrist? 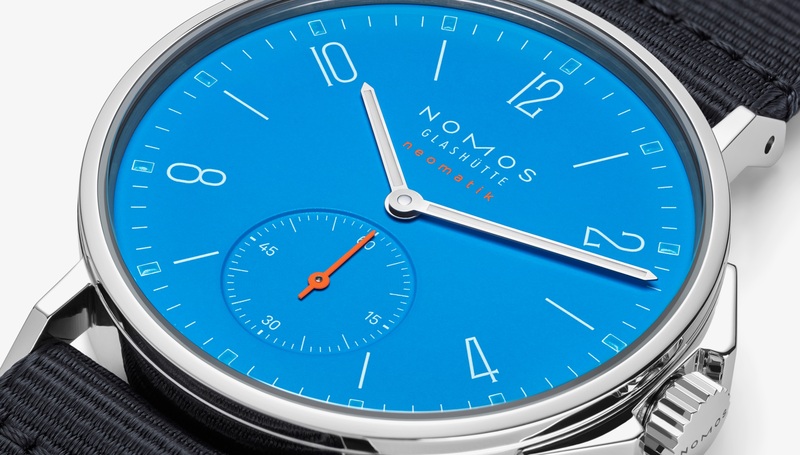 Nomos Glashütte has you covered because with the Aqua series life’s a beach, every day. The new watches from Nomos Glashütte may not look like it but they come with a licence to dive. 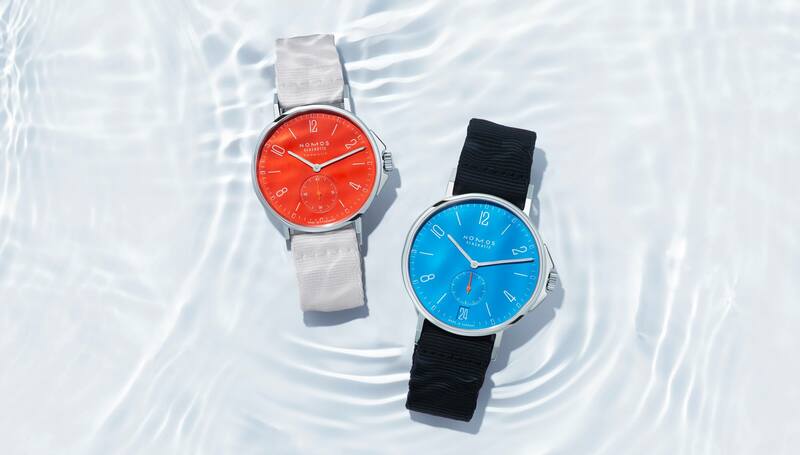 With these watches one is exactly right at the pool or beach. 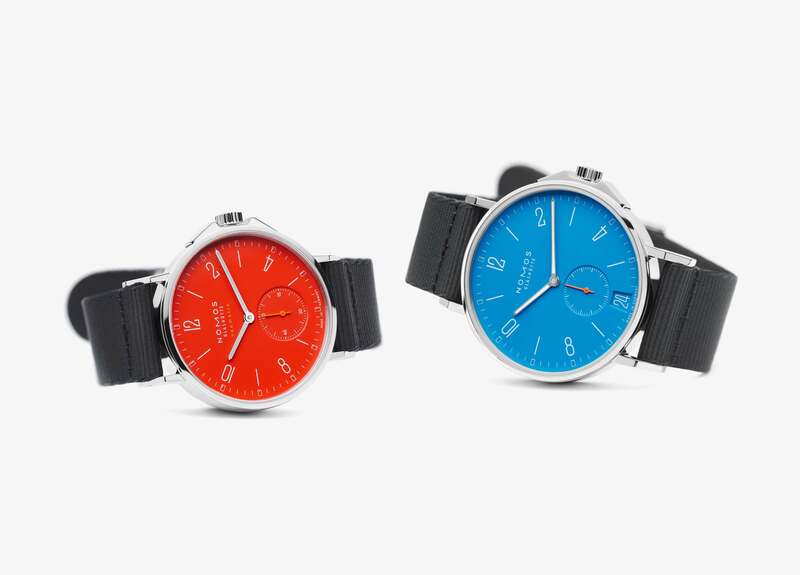 The Aqua-series consists of two basic models, the Ahoi and the Club. They come in four colours and different diameters to fit both men and women. That makes 16 models in total. 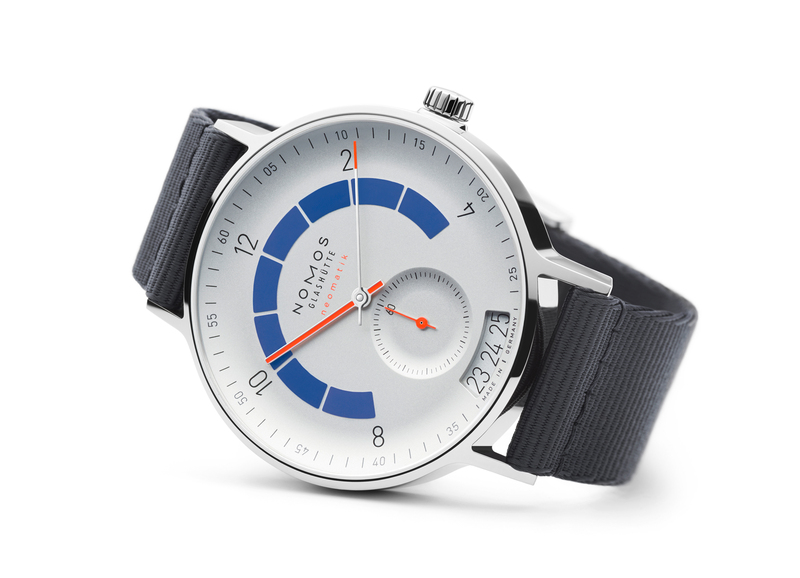 The Ahoi is one of the younger additions to Nomos Glashüttes collection; the watch was first introduced in 2013 and has been designed as a dive watch from the start. 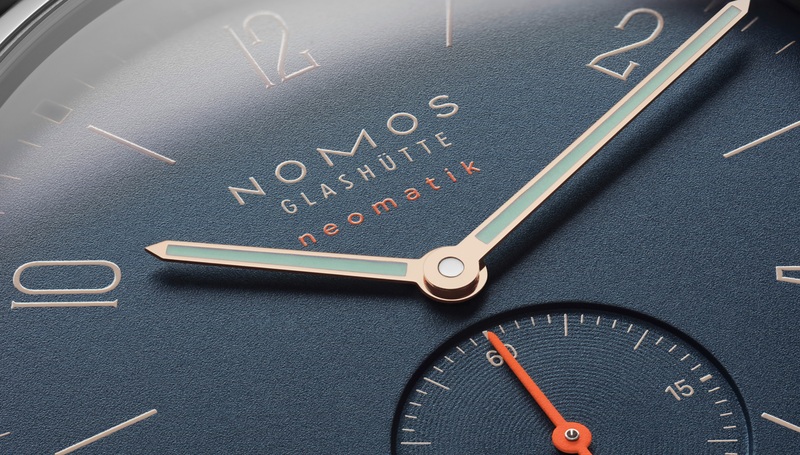 Unlike other watches from Nomos Glashütte the Ahoi is equipped with luminous indices and hands, a screw-drown crown and a more sturdy case. 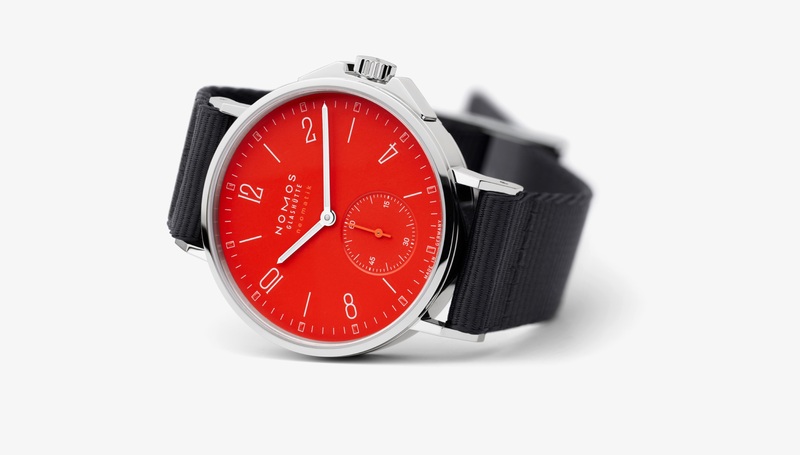 The latter got a little bit smaller in the new collection (Nomos shrunk it from 40 to 36.3mm) and the new Aqua resists water-pressure up to 20 bar or 200 meters. The Club features the same characteristics but it looks a little different. The case is rounder, a little less edgy and comes with 37mm in diameter, the same goes for the design of the dial. The Aquis watches are powered by the ultra-thin in-house calibre DUW 3001, which was introduced by Nomos Glashütte two years ago. This automatic movement works at a frequency of 3 Hz and provides a power-reserve of 42 hours when fully wound. I think we don’t have to talk about the Bauhaus-inspired design of the Neomatik dials – we all know them from former Nomos collections and it’s quite distinctive and well-loved. For the Ahoi-watches Nomos has broadened the hands a little bit and equipped them with a luminous colour which appears white by day and glows green in the dark. With a water-resistance up to 200 meters the Ahoi-watches are suitable for swimmers and recreational divers. Unlike other dive watches the Aqua-watches are equipped with a sapphire case back, which allows a look in the movement. Both the Ahoi and the Club Neomatik come in four different colours – the silver and atlantik dials we already know from other collections. New are “Signalrot” and “Signalblau” (wie fell head over heals for the latter – just saying). The watches with the silver dial are straightforward classy and won’t attract any sideglances on your daily commute; one can’t say that about the bright red and blue ones. These colours pop on the wrist and stand out, but in the best way possible. All watches come with a bright orange seconds hand and a sapphire crystal. All Nomos Aqua are equipped with a textile bracelet that resists water (salty or otherwise) just as well as the watches itself. 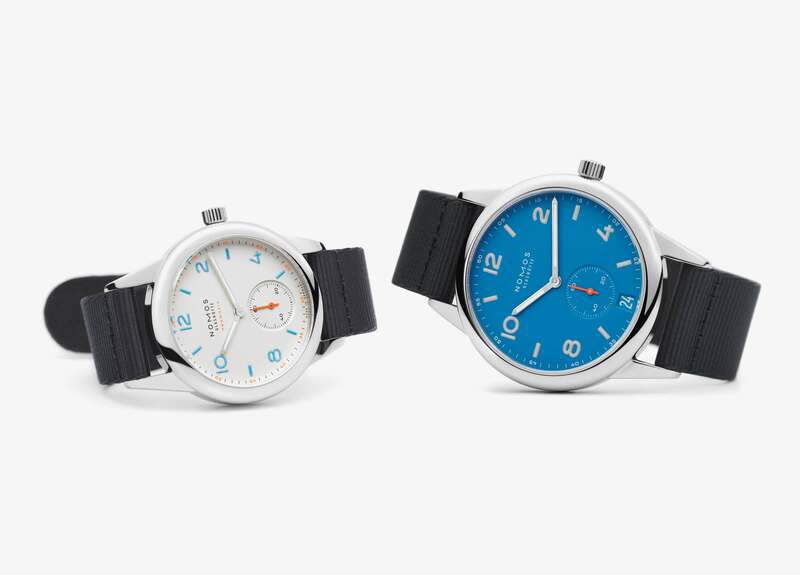 What can we say – we love the new Nomos Aqua-collection. These watches are classically beautiful with a fun twist and quite sturdy. Perfect for the summer and for every occasion.